But what are our friends from around the globe doing in the run up to Christmas and on the big day itself? We love a weird and wonderful fact here at Tongue Tied, so we thought we’d put together a list of some of our favourite Christmas traditions from other countries! Take a look and see whether you’ll be adopting any of them this year! 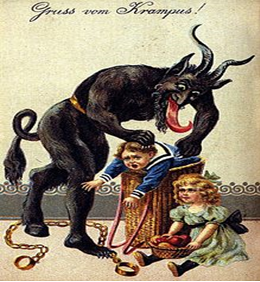 But the night before Nikolaustag (St Nicholas day) in Austria, those who haven’t behaved well are in for a slightly disturbing encounter… with Krampus. Slightly more extreme than just being on the naughty list! These days Christmas is celebrated in more and more non-Christian countries, and Japan is one of those countries that has developed its own festive traditions. A typical Christmas dinner in Japan involves… wait for it… fried chicken! That’s right, KFC is the go-to restaurant/takeaway for the Japanese on Christmas day! Wouldn’t that save a whole load of meal prep?! And if that’s not enough, dessert is a Christmas cake, but not your standard fruit cake, in Japan it’s a sponge cake topped with strawberries and whipped cream! Why not give your loved ones a surprise by treating them to a Japanese Christmas dinner this year?! Their chosen mode of transport is a good old… pair of roller skates! Roads are often closed early in the morning to make way for the masses of skaters heading to church! So what do the Norwegians do on Christmas Eve? They hide all of their brooms in a safe place in the house before they go to bed to make sure that the witches won’t steal them to ride on! If you’re looking for a twist on your Christmas tree decorations for this year, have you considered cobwebs? The tradition stems from a story about a poor family who couldn’t afford to decorate their Christmas tree. Some generous spiders then covered the tree in cobwebs overnight and when the family woke up on Christmas day, the cobwebs had turned into fancy gold and silver tinsel-like strings that served as beautiful decorations! Christmas is usually celebrated on the 7th of January in Ukraine, based on the Julian calendar used by the Orthodox Church. Now here’s a Christmas day tradition we could get used to – spending it in a sauna!! After their Christmas lunch on the 24th of December, you’ll find most Finns relaxing and getting their sweat on in a sauna! Part of their Christmas meal might be slightly less appealing… a bowl of porridge! It’s usually topped with plenty of cinnamon and sugar though, and if you’re lucky enough to find the hidden almond in your bowl of porridge, you get to make a wish! 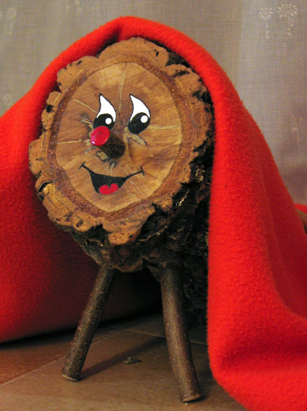 Every night, the log has to be fed with a variety of goodies (nuts, sweets, fruit, etc.) and on Christmas Eve, the log is expected to release, or defecate, all of these goodies! A definite contender for the weirdest Christmas tradition!! We hope you’ve enjoyed our round-up of some of the world’s weirdest and most wonderful Christmas customs! We’re offering our clients 10% off translations throughout December! If you need a quote or any information, please don’t hesitate to get in touch! And do let me know if you think we’ve missed any interesting Christmas traditions from our list! I am native Austrian and studied Linguistics and Literature at the University of Innsbruck and in Manchester, so language and translation has always been a passion of mine. Before joining Tongue Tied, I have worked as a Translation Assistant and in Customer Services and Purchasing. Why choose a Translation Agency? Translation Rates Per Word – What Do You Get For Your Money?